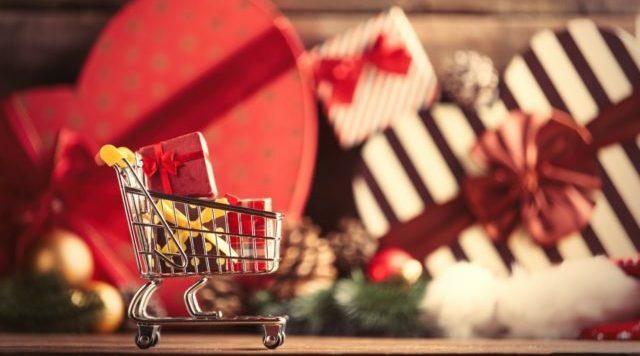 With the Black Friday and Christmas fast approaching, this is a very busy time for merchants. The holiday season can present a significant uptick in sales for many business owners. Unfortunately, it’s also during the holidays that companies are more likely to see an accompanying increase in online fraud from organized groups using sophisticated technology to outsmart e-commerce sites. Higher transaction volumes and a demand for faster turnaround times place pressure on retailers and make proper screening difficult. Furthermore, temporary or seasonal workers are not familiar with what a normal transaction looks like and less likely to recognize fraud. These factors added all together make it a perfect season for criminals. Monitor express shipping transactions closely. Fraudsters love when retailers offer express shipping because the faster they receive the goods, the harder it is for retailers to track or recover the merchandise. Consider implementing device intelligence or identification software. Organized fraud rings use technology to make multiple transactions to the same merchant and make it look like they are coming from different IP addresses. With device intelligence software, devices that are used to submit orders can be uniquely identified by combination of information that covers the true location of the buyer. Leverage address validation software. These products can help you ensure that the address you are shipping to is valid by comparing it to the United States Postal Service address database. If chargebacks are a concern, only ship to a cardholder’s verified address to help prevent chargeback attempts. Pay attention to why credit cards are declined. If there is an increase in the declines, those transactions need to be monitored and reviewed more carefully. Also look for commonalities between declines. Further investigation often uncovers that these transactions came from a single source and points to fraud. Take the time to match security codes. These codes (CVV2 for Visa, CVC2 for MC and CID for AMEX) help verify that a customer has the card in their possession. Incorporate 3D Secure authentication as an additional security measure during checkout. Enroll in Visa or Mastercard’s verification program aimed at the eliminating fraud for customers. It adds one more step to customer checkout, but a legitimate buyer won’t mind entering a pin password to protect their credit card. Keep a list of accounts with a history of fraudulent activity and check new orders against it. Seek out fraud data. Keep up with publications that report the latest fraud trends, pay attention to bank alerts regarding or participate in groups that share information about fraudulent experiences they have had. The more knowledge you have about the fraud environment, the more powerful you will be in fighting it. Train your customer service team. Educate them on how to listen to buyers and recognize warning signs such as not knowing their address off the top of their head, not having complete information or trying to get off the phone when faced with requests for more detail. Implementing a layered risk management strategy requires an investment but more retailers are realizing the benefits of doing so. With the growing sophistication of the technology used by organized fraud rings, a comprehensive strategy is the only way to keep criminal activity at bay while allowing legitimate customers to place orders. Find Out More About How Protect Your Business.